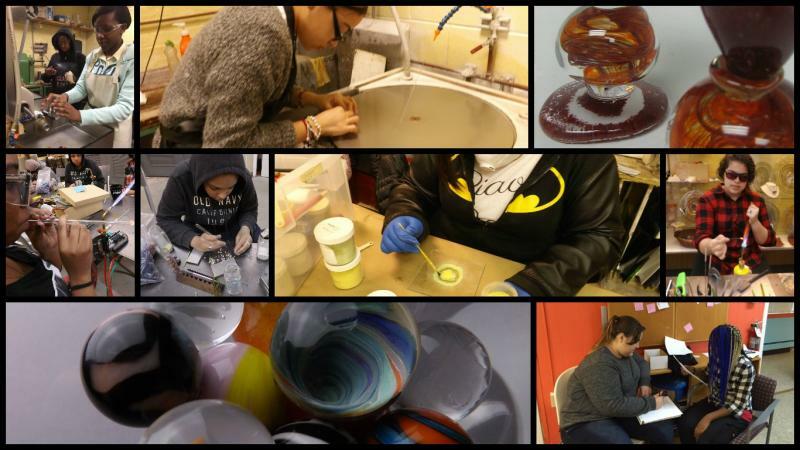 ​GlassRoots works diligently to counter the challenges youth face by providing a safe environment, positive role models, and rigorous program and skill development opportunities through the creation of glass art. Our history has successfully proven that it is possible to marry art and entrepreneurship through real life application of talent, interest and skills. GlassRoots core programs, offered for teens and young adults, include STEAM (science, technology, engineering, arts and math) and are offered as in-school residencies, after-school and summer arts programs, and as workshops, using competency in handling molten glass as a pathway to personal development. GlassRoots also offers adults in “art for art’s sake” workshops held on evenings and weekends, and young people in summer camps. Information on these programs can be found on the LEARN section of this website.